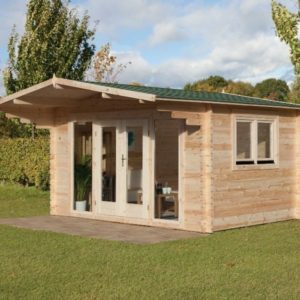 The Forest Garden Melbury Cabin is an interesting contemporary designed cabin, manufactured using 44mm planed interlocking logs. 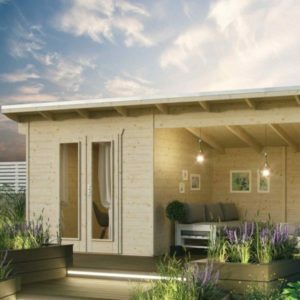 This log cabin has a compact footprint, ideal for where garden space is at a premium. 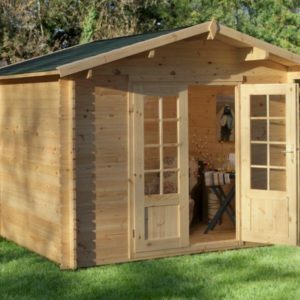 The Melbury cabin features double glazing with double doors, two fixed and one opening window. 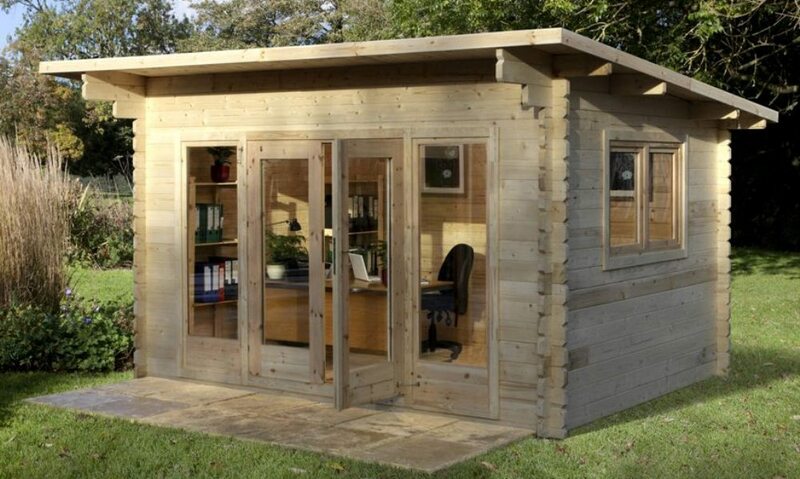 Firstly the Melbury log cabin is 4.0 metres by 3.0 metres and is constructed using 44mm machined logs. 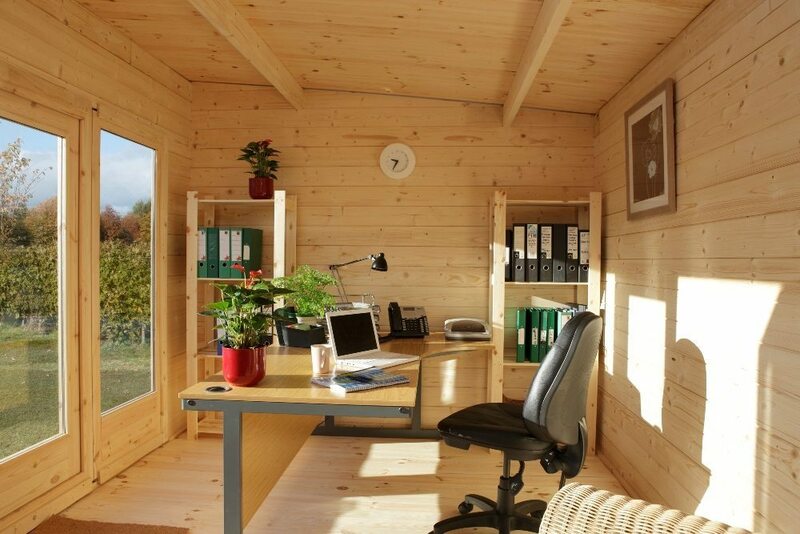 The cabin is double glazed and fitted with one opening and two fixed windows. 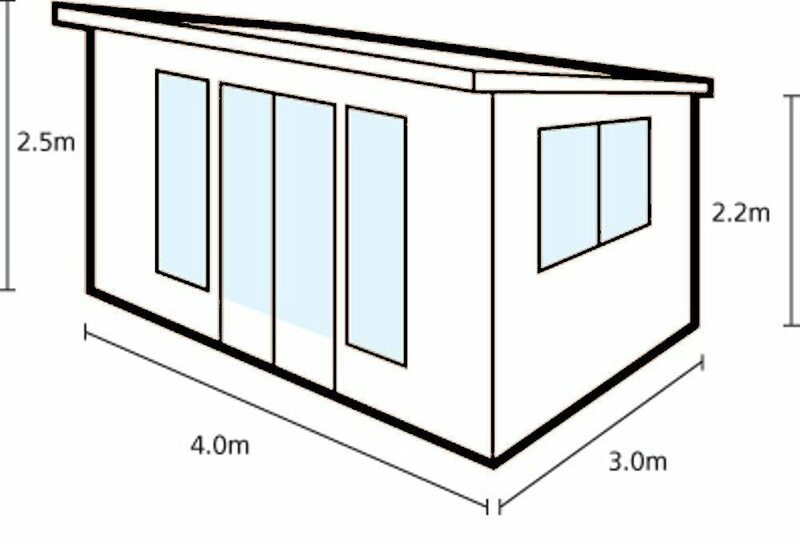 The two fixed windows are near full height and flank the double doors providing generous natural through the front of the cabin. 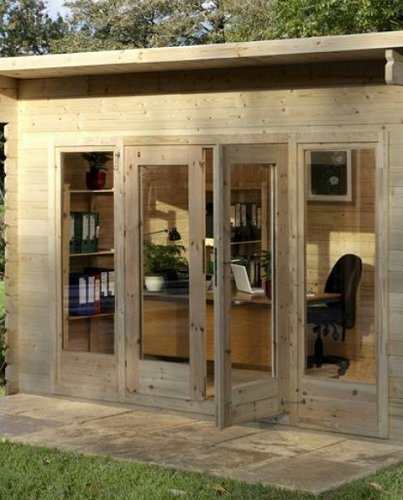 The door is fitted with a mortise lock. 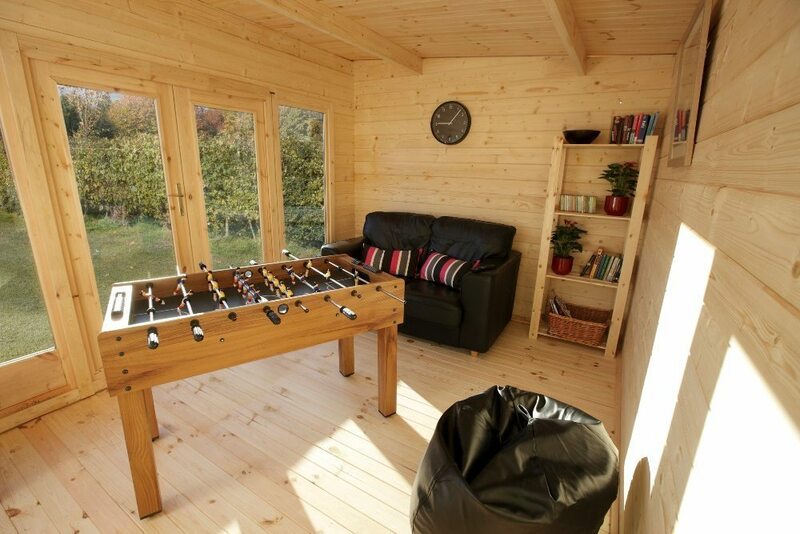 Both the cabin’s floor and roof are constructed using 19mm tongue and groove (TGV) boards. 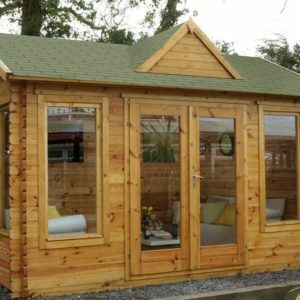 The building’s roof is supplied with rectangular green felt shingles.